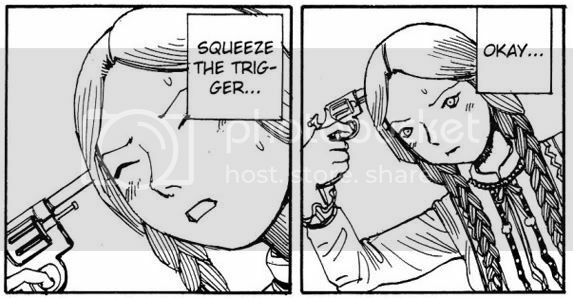 Over at Wanted: Cheap Manga, Rizzah has now posted the first chapter of Shintaro Kago's Dance! Kremlin Palace!, which he began serializing last week. The theme this week is Russian roulette. It's a minor premise, but what do you think Mr. Kago does with it? HINT: Think wartime aggression, headshot tournaments and 6-breasted women. Click to download Chapter 1 from Wanted: Cheap Manga! Thank Azathoth summer break is coming.